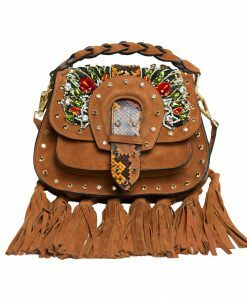 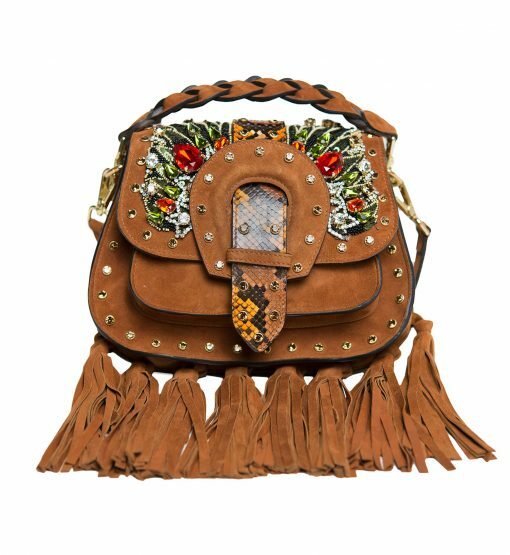 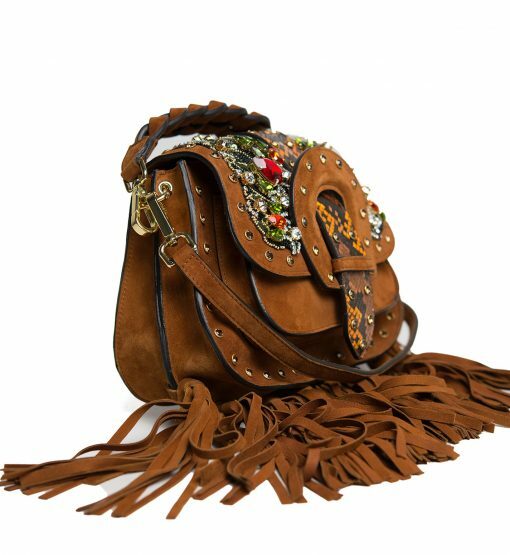 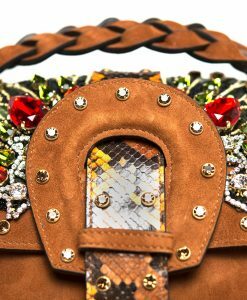 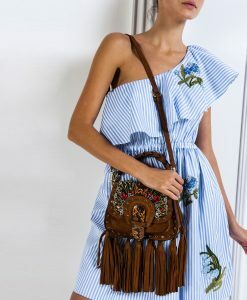 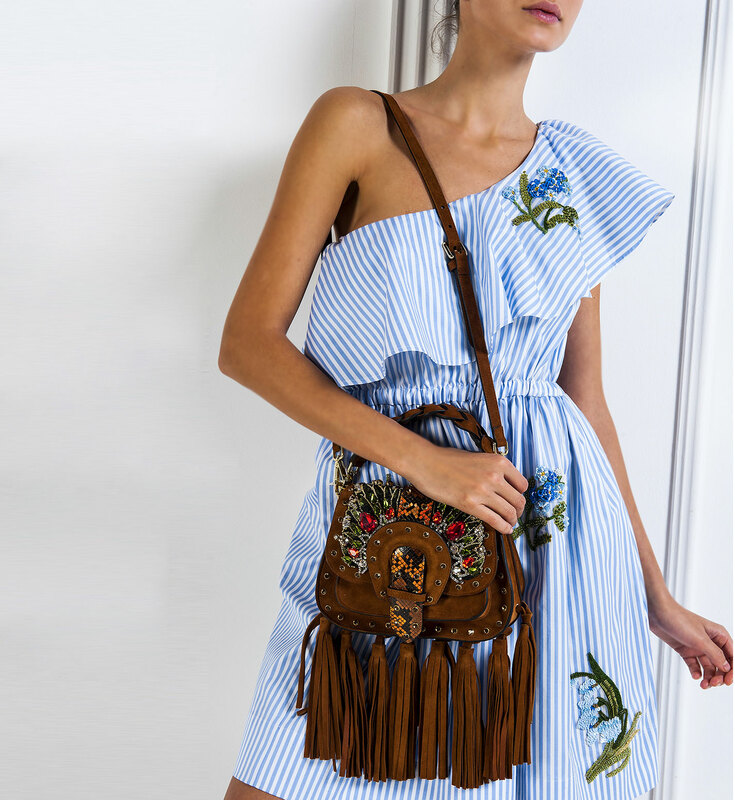 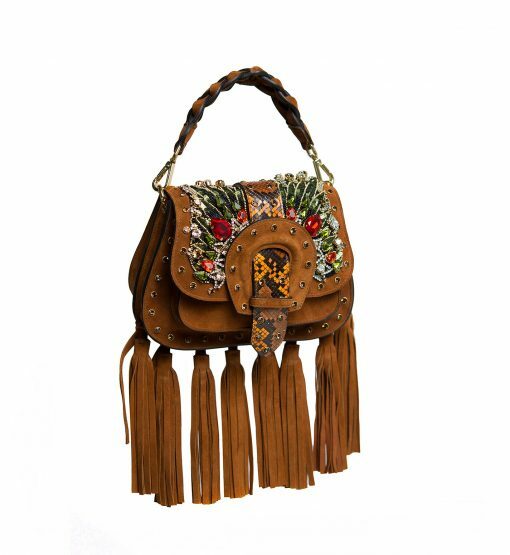 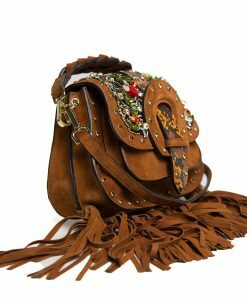 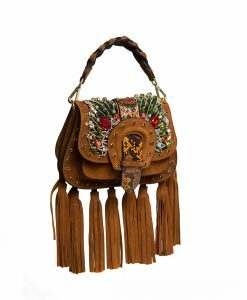 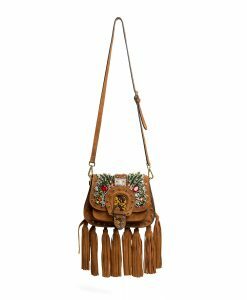 Embellished with suede tassels and colorful crystals motif GEDEBE’s ‘Alice’ small bag reflects bohemian spirit. 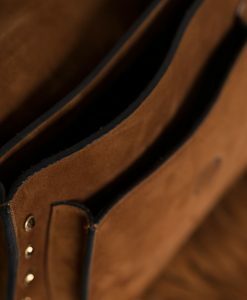 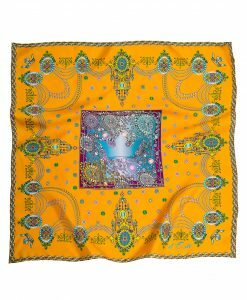 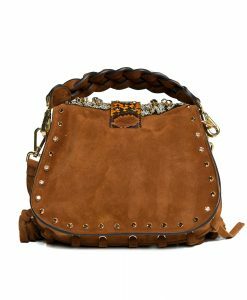 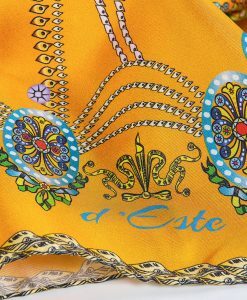 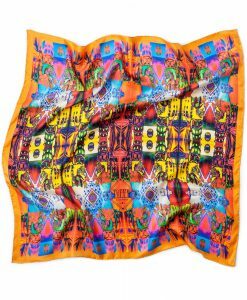 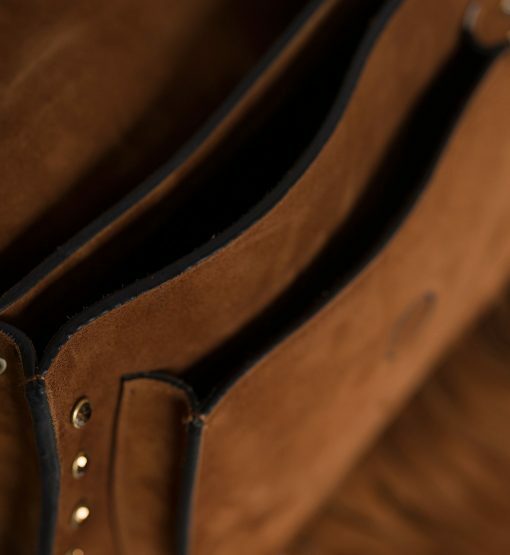 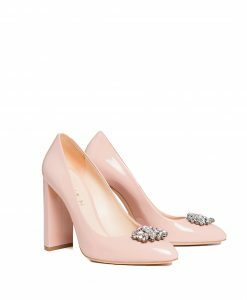 This beautiful accessory is crafted from supple suede in cognac hue and embellished with amazing colorful embroidery. The half-moon shape is super trendy now. 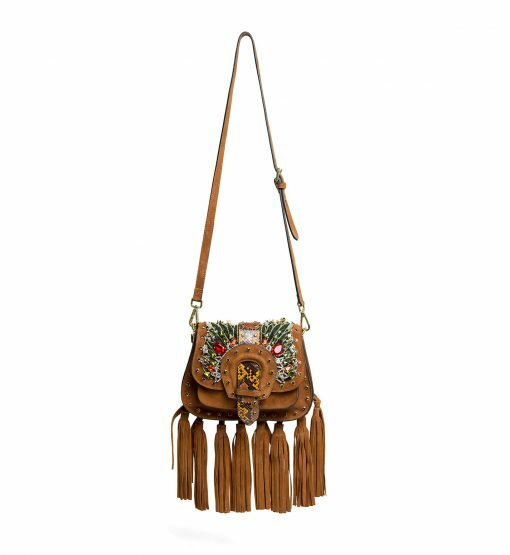 The bag sized to fit your agenda, phone, keys and wallet. 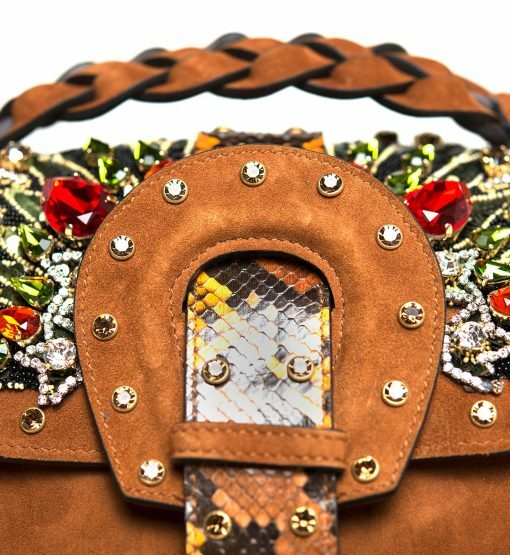 We like how gold hardware and python closure detail complements its tan hue. Adjust the shoulder strap to carry it cross-body.